Dept. of E. Asian Langs. & Lits. Welcome to the home page of Professor Marjorie K.M. Chan (陳潔雯) at The Ohio State University! This website provides information on her current year’s course offerings as well as links to her online course syllabi and other pages pertaining to her teaching and research, which are primarily in the area of Chinese linguistics. 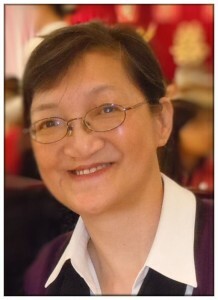 Professor Chan teaches in the Department of East Asian Languages and Literatures (DEALL) at The Ohio State University. DEALL offers undergraduate programs in the Chinese Language (Chinese Major and Chinese Minor), that is, standard (Mandarin) Chinese. In addition, beginning in the 2013-2014 academic year, DEALL is offering “Conversational Cantonese for Mandarin Speakers I” (Chinese 4301 in Spring Semester, with Professor Chan serving as faculty supervisor). DEALL also has very strong graduate programs not only in Chinese Literature and Chinese Language Pedagogy, but also in Chinese Linguistics, with its long, well-established M.A. and Ph.D. Programs in Chinese Linguistics. This fall one important event was the Third Buckeye East Asian Linguistics Forum — BEAL Forum 3 — which took place on the Ohio State University campus on Monday, 22 October 2018. For further information on that event, go the to BEAL Forum website. Other Chinese linguistics activities can be gleaned from the Graduate Association of Chinese Linguistics (GACL) website and from the Buckeye East Asian Linguistics (BEAL) website, the latter housing two main activities: 1) BEAL Forum, and 2) BEAL Publications. Among the activities at Ohio State involving Chinese linguistics is inauguration of the biennial series of Workshop on Innovations in Cantonese Linguistics. The very first of the series, WICL-1, was held in spring 2012 at OSU and WICL-2 was held in spring 2014 at University of Chicago. WICL-3 returned to The Ohio State in spring 2016. WICL-4 was held at University of British Columbia in early summer 2018. 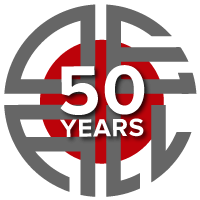 The 5th Workshop on Innovations in Cantonese Linguistics (WICL-5) will return to The Ohio State University in spring 2020. It will be held in conjunction with the celebration of our department’s DEALL 50th Anniversary. Besides her role as a faculty member in DEALL, Professor Chan has, since December 2010, been serving as the Director of the Institute for Chinese Studies, part of the East Asian Studies Center, where a host of China-related activities are planned and organized throughout the academic year, including lecture series, annual graduate forums, conferences, symposia, etc., often with co-sponsorship from our graduate student organizations and other units across the campus. 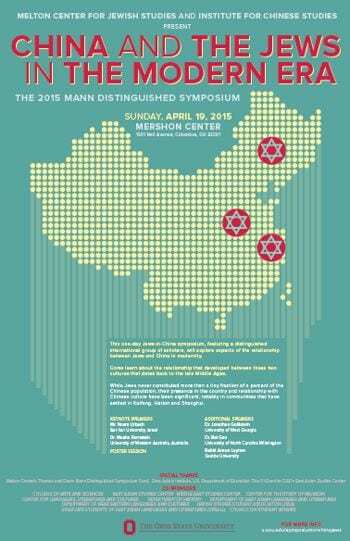 One fairly recent event, for example, was the one-day symposium that was co-organized with Melton Center for Jewish Studies, China and the Jews in the Modern Era, held on 19 April 2015, on-site at the Mershon Center and accessible online via simultaneous webinar. She has also organized the annual ICS Graduate Forum and other ICS events. Note that this website is a successor to the original website on the Humanities server (March 1996 to April 2014). With a change in format, from HTML to WordPress, due to time constraints, the web pages created for the earlier server have not been reformatted and moved to this new site. Posted by Marjorie Chan at 12:00pm 8 December 2018 Bookmark the permalink.